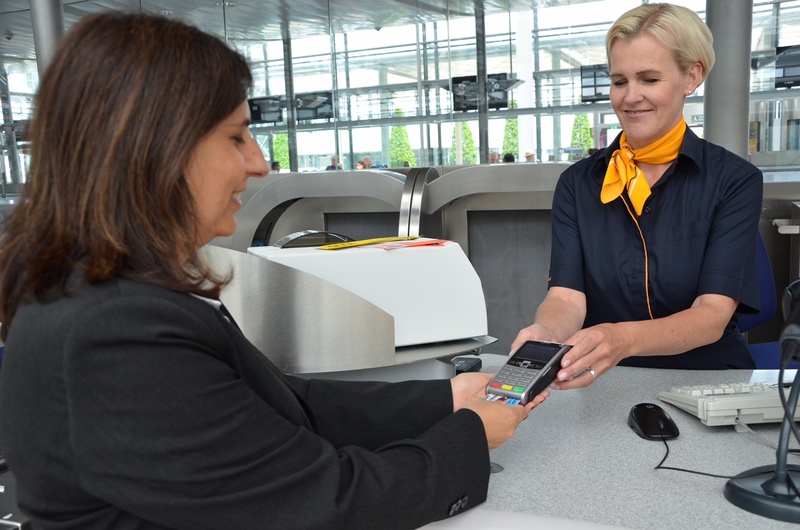 By introducing "Amadeus Airport Pay", the Lufthansa Group now enables secure and simple payments at check-in counters. This new service, developed by Amadeus and Ingenico, will subsequently be available at more than 170 airports around the world. Customers will be able to pay for ancillary services with chip-cards (credit/debit cards) and compatible digital wallets. Additionally, airline staffs are able to initiate compensation payments with these terminals, for example, in case a passenger voluntary steps back from an overbooked flight. "Lufthansa Group"™s core objective is to bring secure and seamless payment options to our passengers to ease their individual and seamless travel experience. While checking in, or at the gate, Amadeus Airport Pay enables our travelers to choose customized ancillary services for their flight with a variety of secure payment options and without the need for detours," said Kai Schilb, Head of Payment at Lufthansa Group Hub Airlines. "Besides, by enabling bilateral connections with a wide range of payment providers, Amadeus Airport Pay gives the Lufthansa Group full control over its payment infrastructure We look forward to bringing this service to our airport check-in desks and ticket offices in more than 170 airports very soon," added Philipp Vetten, Head of IT Payment Projects at Lufthansa Group Hub Airlines. To meet customer"™ needs, the Lufthansa Group strives to offer a wide range of product and service choices. In today"™s digital world, customers demand simplicity and convenience throughout their purchasing experience, no matter what channel they use while shopping, regardless if it is web, mobile, or actual stores.